Every state in the United States has some type of private student loan or financial aid program available for residents of their state. These are different than the student loan forgiveness programs by state - these are programs that will help you afford college. Many of these programs do have restrictions, such as income limits, financial aid needs, academic progress, and more. However, there are typically student loan options available in every state that don't have these limitations. If you're simply looking for a student loan to pay for college, check out Credible Student Loans and shop around to find the lowest rates possible. As we put this guide together, it was interesting to see how many states offer programs to help their students afford college. When you combine these aid programs with private scholarships and potential college savings, it is possible to pay for college with very little student loan debt. Student Loans: 17 states offer unique student loan programs for their residents. These include no/low interest loan programs, as well as forgivable student loans for entering various fields. Scholarships: 46 states have unique scholarship opportunities for their residents. 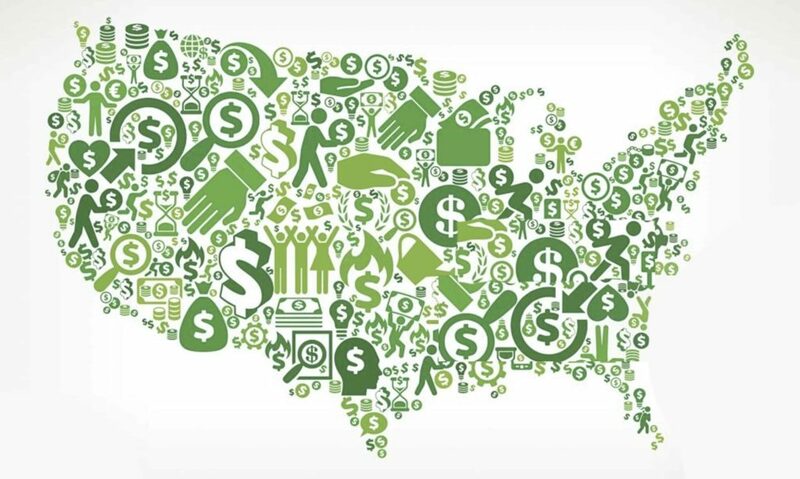 Grants: 43 states offer grant programs for their residents. Other: Only one state that we could find (Alabama) didn't offer anything towards education for it's residents. 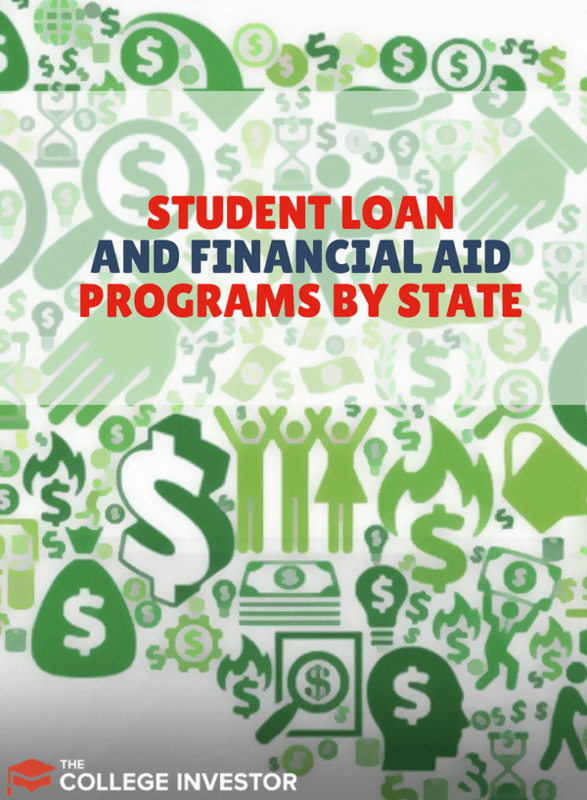 Almost every state offers some time of student loan or financial aid program. Some states offer multiple programs, while others might just offer a scholarship or grant. Remember, these are state-based options. Some colleges and universities, and many private organizations, also provide some type of financial aid. Alabama - Alabama does not offer any unique grants of scholarship programs that we've been able to find. Alaska - Alaska has a student loan program, and scholarships and grants available for it's residents. Arizona - Arizona has a student loan program and a grant program available for it's residents. Arkansas - Arkansas has several scholarship and grant programs available for it's residents. California - California has a large number of grants and scholarship programs available for it's residents. Colorado - Colorado has several grants available to it's residents. Connecticut - Connecticut has a student loan program, as well as a grant and scholarship program. Delaware - Delaware has several forgivable student loan programs, as well as multiple scholarships and grants. Florida - Florida has several scholarship and grant programs available for it's residents. Georgia - Georgia has a student loan program, as well as a grant and scholarship program for it's students. Hawaii - Hawaii doesn't have a student loan program, but does have multiple scholarships and grants for it's students. Idaho - Idaho has several scholarship programs that are designed for residents of Idaho to receive assistance paying for college. Illinois - Illinois has several scholarship and multiple grant programs to help residents of Illinois pay for college. Indiana - Indiana has several scholarships and grant programs available to it's residents to help pay for college. Iowa - Iowa has several scholarship and grant programs available to help pay for college. Kansas - Kansas has several scholarship and grant programs to help residents pay for college. Kentucky - Kentucky has several scholarship and grant programs available for it's residents. Louisiana - Louisiana has two scholarship and one grant program available for it's residents. Maine - Maine has multiple student loan programs and several scholarship and grant programs available for it's residents. Maryland - Maryland has multiple scholarship and grant programs available for it's residents. Massachusetts - Massachusetts has a no interest student loan program, as well as several scholarship and grant programs available. Michigan - Michigan has several scholarship and grant programs available for it's residents. Minnesota - Minnesota has a student loan program, as well as multiple scholarship and grant opportunities available. Mississippi - Mississippi has multiple student loan programs, as well as a few scholarship and grant programs. Missouri - Missouri doesn't have any student loan programs, but does offer multiple scholarships and grants. Montana - Montana only offers several scholarships for its residents. Nebraska - Nebraska has several scholarship and grant programs available to its residents. Nevada - Nevada offers a scholarship to it's residents along with some unique programs. New Hampshire - New Hampshire offers a scholarship program for its residents. New Jersey - New Jersey offers a student loan program, scholarships, and grants for its residents. New Mexico - New Mexico has multiple student loan programs, as well as scholarship and grant programs available. New York - New York has several scholarship and grant programs available to its residents. North Carolina - North Carolina has a student loan program, as well as multiple scholarships and grants. North Dakota - North Dakota has a student loan program, as well as multiple scholarships and grants. Ohio - Ohio offers a scholarship and grant program to its residents. Oklahoma - Oklahoma offers scholarship and grant programs for its residents. Oregon - Oregon has multiple scholarship and grant programs for its residents. Pennsylvania - Pennsylvania has multiple scholarship and grant programs available for its residents. Rhode Island - Rhode Island offers a student loan program, as well as scholarships and grants for its residents. South Carolina - South Carolina offers several scholarships and a grant program to its residents. South Dakota - South Dakota only offers one state-wide scholarship to its residents. Tennessee - Tennessee offers scholarships and grants to its residents. Texas - Texas has a student loan program, as well as scholarship and grant opportunities for its residents. Utah - Utah has several scholarship and grant programs available for its residents. Vermont - Vermont offers a student loan program, as well as scholarship and grant programs for its residents. Virginia - Virginia has multiple grant programs available for its residents. Washington - Washington has a student loan program, scholarship, and grant programs for its residents. West Virginia - West Virginia has multiple scholarship and grant programs for its residents. Wisconsin - Wisconsin has multiple scholarship and grant programs for its residents. Wyoming - Wyoming has several scholarship programs available for its residents.